New York began to regulate skyscraper form in 1916 when the city passed America's first comprehensive zoning law. The regulations mandated multiple setbacks on the bases of tall buildings that would protect a measure of sunlight on the street, and it established a template for a maximum mass or "envelope" that a building could fill. Developers, of course, sought to exploit every available square foot of rentable space, so their buildings expanded into the full template. In addition, the 1916 law allowed for a tower of unlimited height to rise above 25 percent of the center of the lot. Buildings on large sites could thus take advantage of the opportunity to add a slender tower atop the pyramidal base. 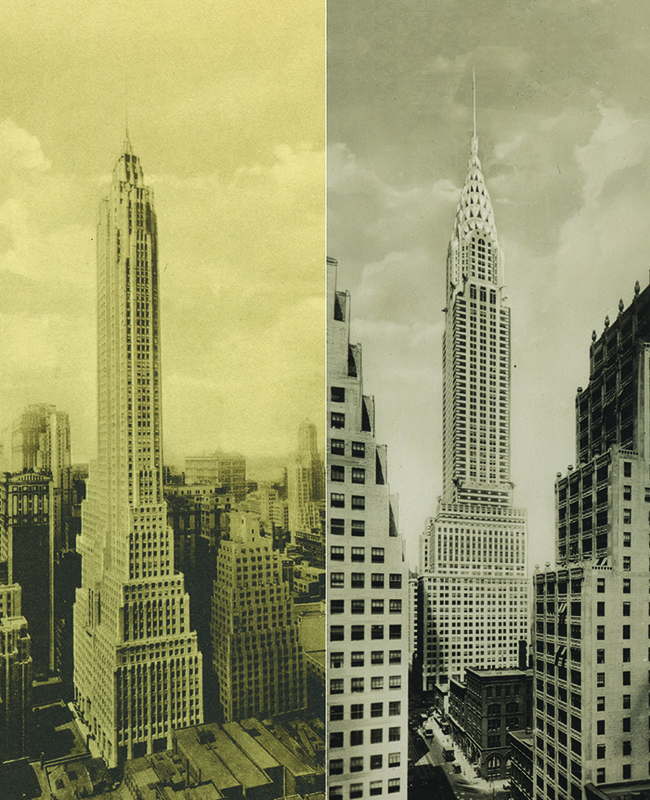 As the photographs of the slender spires of the Cities Service Building at 70 Pine Street and the Chrysler Building illustrate, it was the zoning law-even more than individual architects-shaped the characteristic setback massing of high-rises across Manhattan.